If you have honey bees or are an aspiring beekeeper, you’ve likely considered creating an income stream from honey and other bee products. 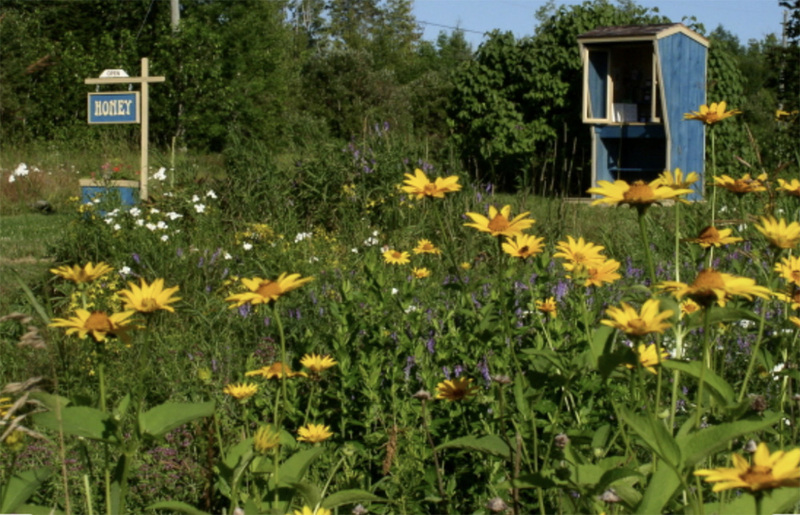 Beekeeping can be a great way to supplement your homesteading income, in addition to the many other benefits that go hand in hand with raising bees. Raw, local honey is liquid gold to many consumers these days, and demand continues to grow for other bee products, such as wax and pollen. Depending on the size of your operation, there are many ways to sell your honey: farmers markets, local stores, craft fairs, and online. 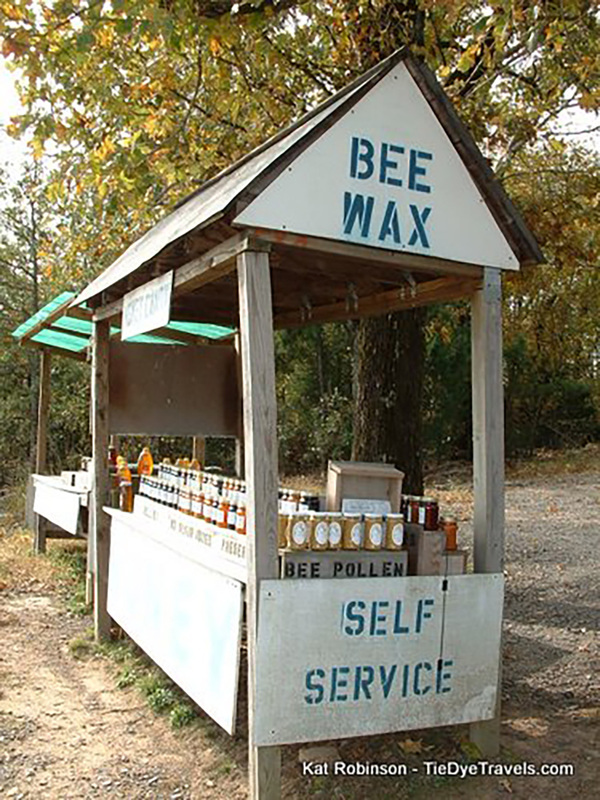 If you don’t love the idea of spending weekends tied to a booth or if you have a small-scale operation that doesn’t require an extensive amount of selling, here’s an interesting idea: a “self-service” roadside honey stand. These stands function on their own through the honor system, so you can sell honey any time of day without being present at the booth. This is an old concept, and although self-service stands aren’t as common as they used to be, they can occasionally be found along rural roads and highways. This roadside stand, in New Brunswick, Canada, belongs to the Atkinsons, the husband and wife team behind Stonehaven Life. After raising bees for several years, they searched for ways to sell their excess honey and decided to give the self-service method a try. For the Atkinsons, the self-service honey stand idea was born out of necessity. They were not selling on a large scale, so they needed a convenient way to sell the relatively small amount of excess honey they produced from their hives. They both work from home, but weren’t keen on the idea of having buyers come to their door at odd hours. Inspired by a similar stand designed by beekeeper Richard Taylor, the Atkinsons built their own portable roadside honey stand that could sit open during the day and be closed up at night. This isn’t a new idea of course. Actually it’s a very old concept based on trust that some septics feel may be a bit risky in this day and age. I’m an eternal optimist and have faith in the nature of rural communities. As a friend says, “90% of people are honest 90% of the time”. That’s good enough for us. Does selling on the honor system really work? For the Atkinsons, it has worked well for many seasons of selling their honey. Within the first few weeks of opening their stand, they had sold dozens of jars through the honor system and every single one was paid for. They say that since they opened their stand in 2006, nothing has happened to shake their belief in the honor system. Another popular self-service honey stand, shown above, has been in operation since 1947. It sits near Palatka, Florida and was opened by Calvin Biggers. He kept the stand open until he passed away in 1985, and at that point his son David took it over. David and his family run the stand to this day, and sell approximately 65,000 pounds of honey a year. 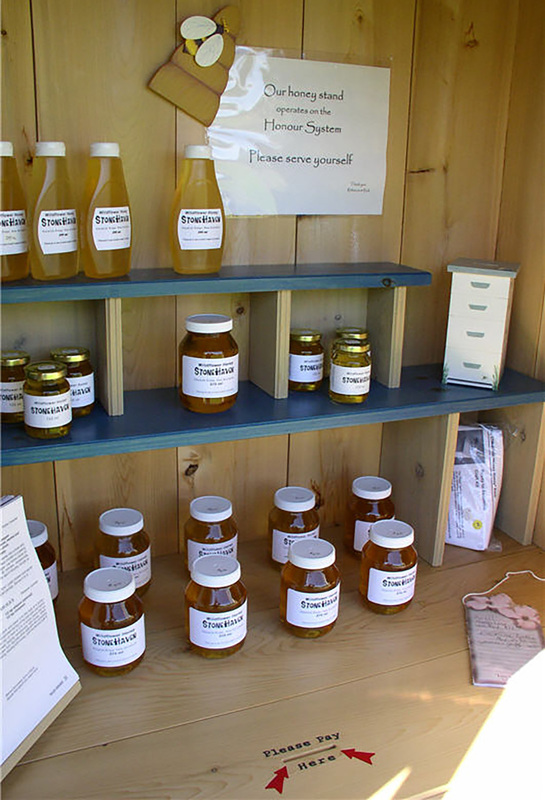 Read more about the Biggers’ self-service honey stand here. According David, “he wasn’t here all the time, so he put it on the honor system.” Pick up a jar of honey with the price tag on top and put the money in a container. Pretty simple. Calvin kept the system in place until his death in 1985. That’s when David took over and kept it in place to this very day. Sure, David said he’s had some people just take a jar or two and not pay. And then he’s had a fair share of notes attached to money dropped in the box. “Conscience bothers them or they got religious reasons, they, uh… sent me the money and made it right,” David said. On a late October day, my traveling companion and I decided to stop at this roadside sweet stand, to educate ourselves further about what could possibly be sold on trust. There was already a gentleman there, perusing the wares. He, like I, hadn’t stopped before, and was trying to figure out if there were some sort of surveillance set-up involved. We both peered up into the trees, the eaves, back at the house — no sign of cameras. He grunted his appreciation for the trust and paid for a quart of honey, sliding his bills into a slot on top of one of the locked mailboxes. 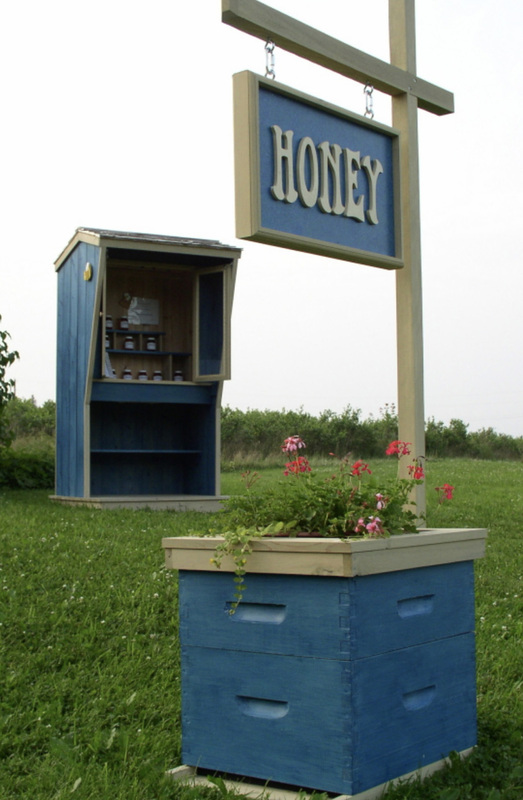 If you’re lucky enough to come across one of these honey stands during your travels, consider stopping and making a purchase to support your local beekeepers. It’s understandable that many producers would be hesitant to use the honor system to sell their products, but it’s wonderful to see that some are “making a stand” to trust people and put the fruits of their hard work into others’ hands. 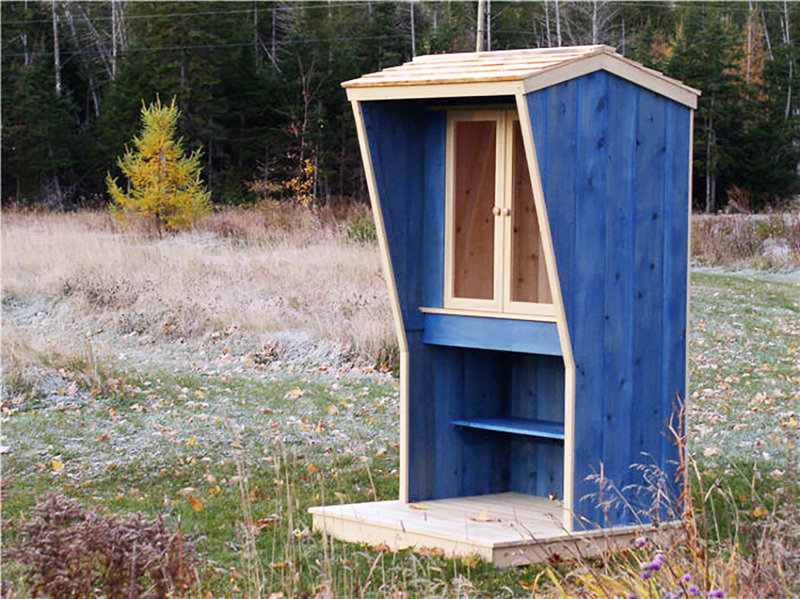 If you have bees and would like to build your own self-service booth, the plans for this one are available at Stonehaven Life. This little stand is thoughtfully designed to be practical, portable, and includes details such as a closed cabinet to protect your products during bad weather and a built-in cash box to keep your earnings secure. 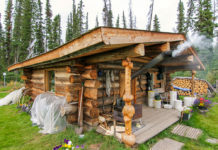 Do you sell honey or other homegrown/homemade products along the roadside? If so, please consider telling us about it – we’d love to hear more stories like this!